“You’re problem is you’re BBC”, a colleague remarked recently. On further investigation, I found this not to be some reference to the British Broadcasting Corporation but rather that I had been “Born Before Computers”. Yes, I grew up – in computing terms at least – on the Command Line. A number of things have changed since those dim and distant days. 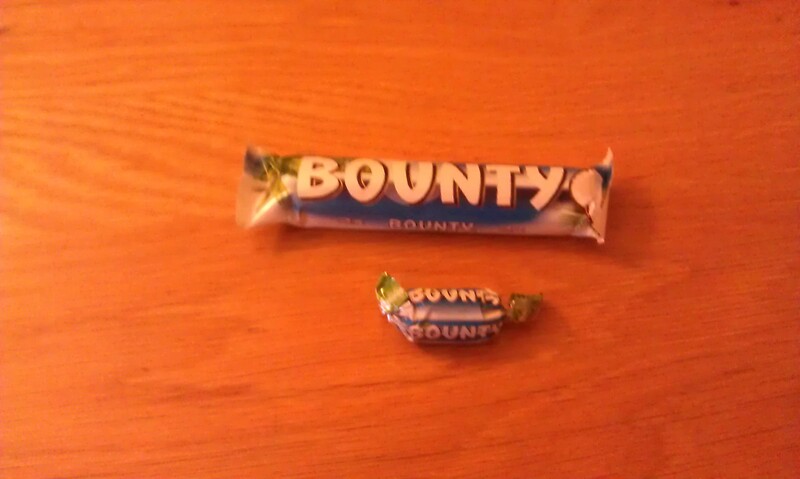 Recently, I had a comment from Darryl claiming that chocolate bars had also been gradually reducing in size. There’s more. My phone keeps insisting that I can’t spell and arbitrarily replacing words when I’m writing an SMS. “You’re just the breast” took a bit of explaining to a rather skeptical Deb. Having finally persuaded my phone that I really don’t require it’s assistance when composing a short missive, I have now turned my attention to SQLDeveloper. Whilst most modern IDEs have those ever-so-helpful code completion features, I do sometimes find that they get in the way, especially when you know what you want to type. Pause for a second or two, or start going back to change something and that SQLDeveloper feels compelled to interrupt with some “helpful” suggestion of what I might want to put. 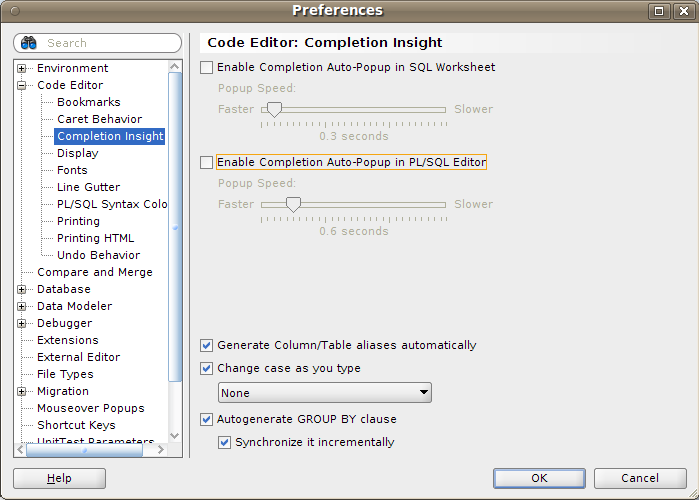 In the tree on the left-hand side, expand the Code Editor node and click on Completion Insight. Uncheck the boxes marked Enable Completion Auto-Popup in SQLWorksheet and Enable Completion Auto-Popup in PL/SQL Editor. No need to re-start, the changes should take effect as soon as you next start typing. Now, if you should happen to require some assistance, you can simply press CTRL + SPACE and SQLDeveloper will present you a variation on the theme of “helpful suggestion”. Whilst I’m being a grumpy old man, what is it with all this spam ? All these unsolicited offers of Viagra. I mean, how do they know ?! This entry was posted in Oracle, SQLDeveloper and tagged code completion, Enable Completion Auto-Popup in SQLWorksheet, SQLDeveloper, turn off code completion by mikesmithers. Bookmark the permalink. Personally, I don’t mind having an auto suggest feature, if only it wouldn’t get in the way and steal the focus. Very annoying. If I don’t want a suggestion, I should be able to just keep on typing, damn it!